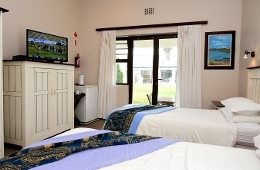 The hotel offers single and double ensuite accommodation with DSTV and SABC channels. 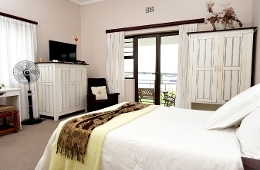 Each suite has a fully equipped patio with a breath taking view of the Berg River. The pride of the Riviera Hotel is its honeymoon suite complete with spa and a lounge to relax in and enjoy the view. 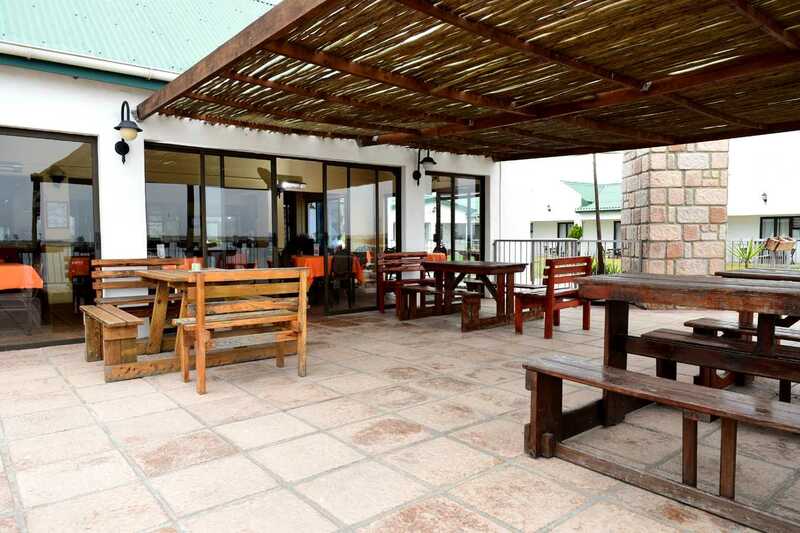 Self-Catering Chalets Accommodation: The Riviera Chalets are fully self-catered with built-in braai and patio overlooking the wetland and its abundant bird-life. 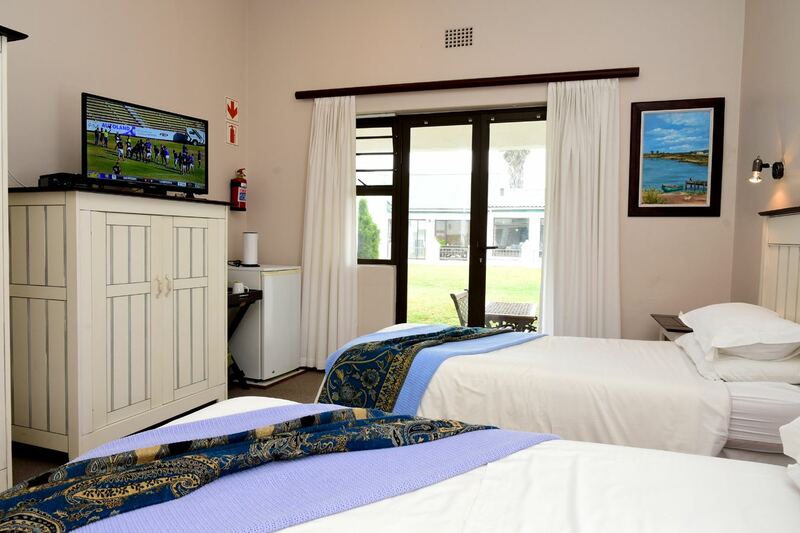 Each chalet has DSTV and SABC channels for your entertainment. 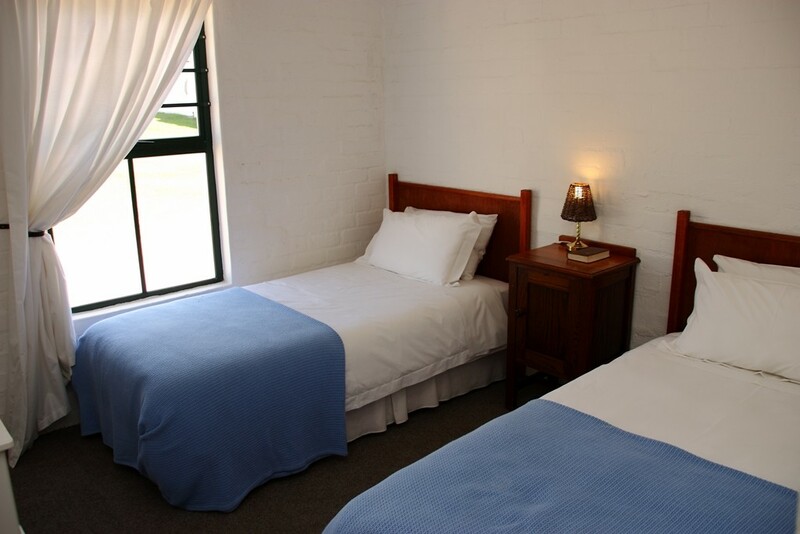 The 2 x one bedroom units have full bathrooms and the 8 x two bedroom units have showers. 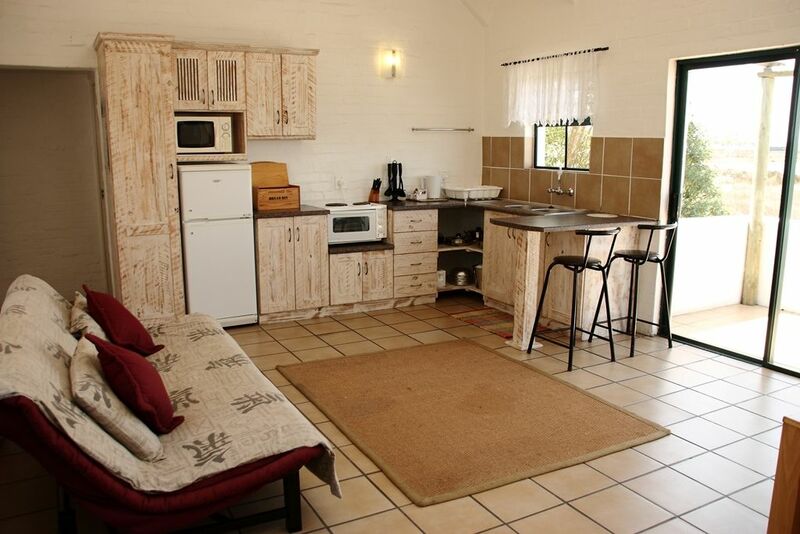 All units have a fully equipped kitchen. 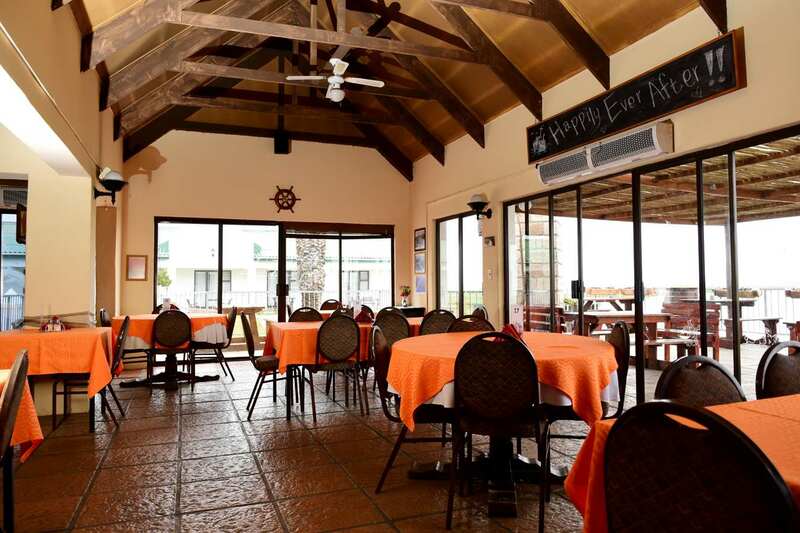 The chalets have secure access and exit and is within walking distance of a supermarket, restaurant, liquor store and take-away. 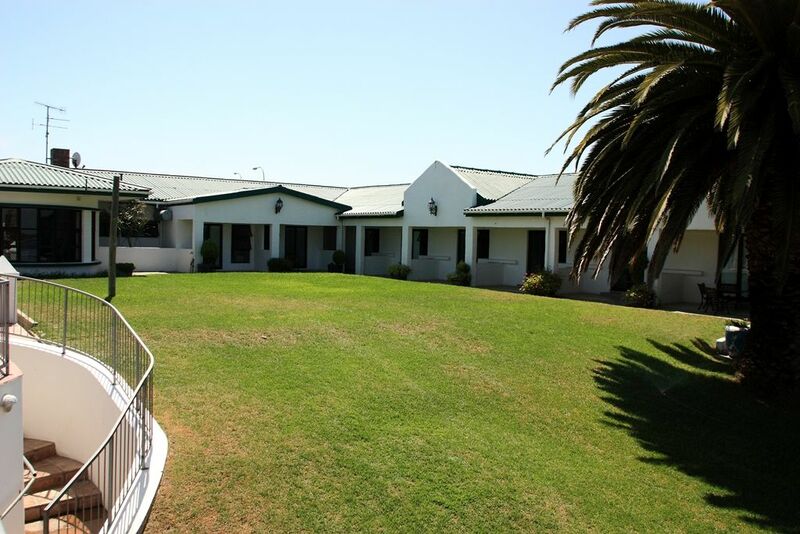 Description: Fully self-catered with built in braai & patio overlooking the wetland & its abundant bird-life. Fully equipped kitchen and DSTV channels for your entertainment. 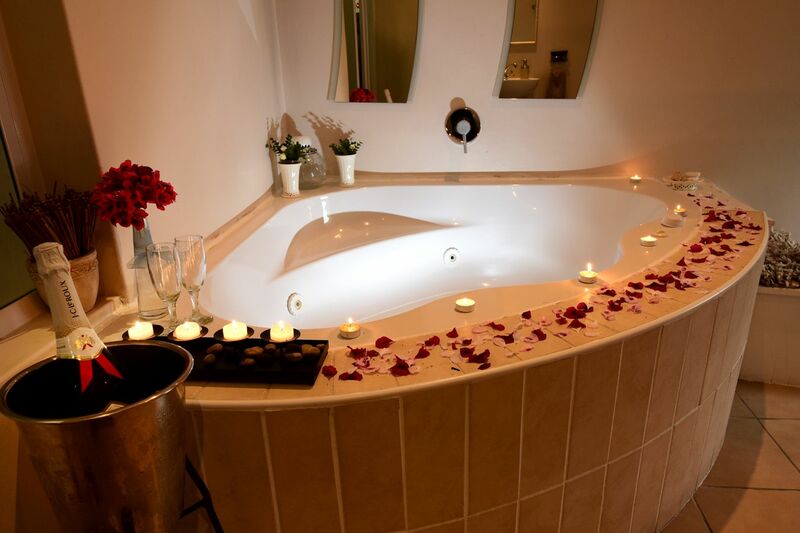 Description: Double bedroom with Jacuzzi, shower and private lounge. 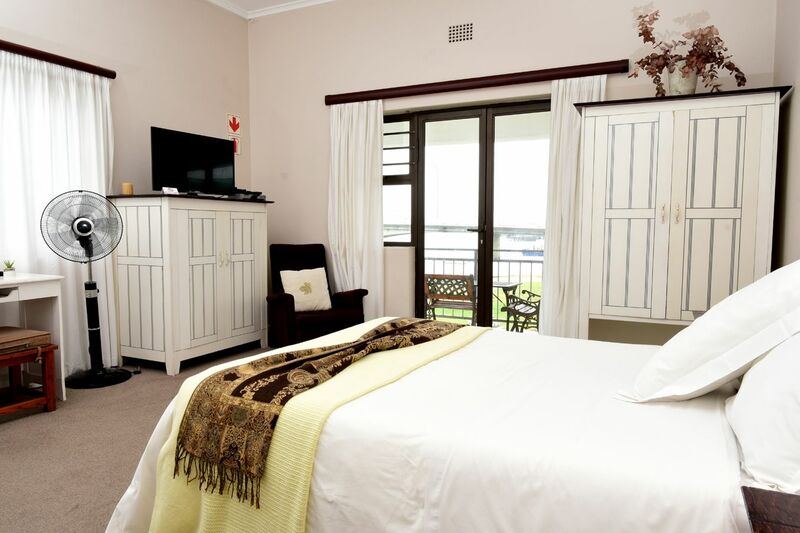 The room also has a private patio overlooking the Berg Rivier. 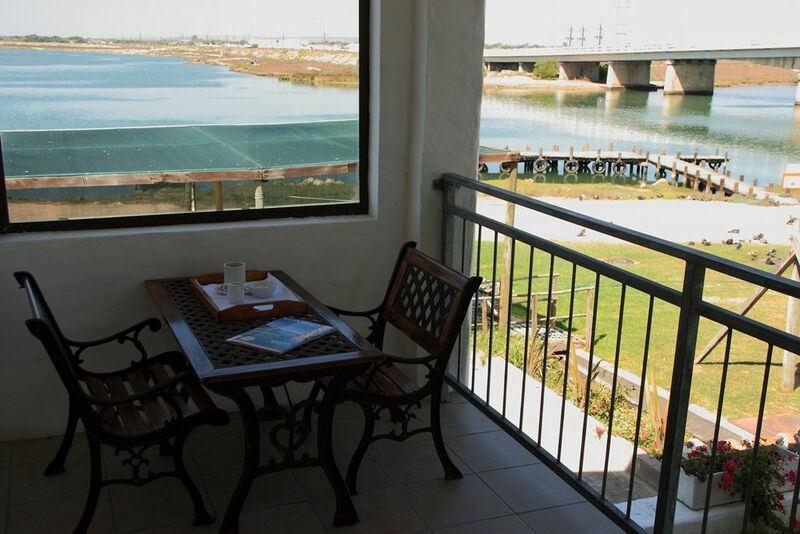 Description: Each room has a patio with a view of the Berg River. Selected DsTV channels,coffee facilities and bar fridge. 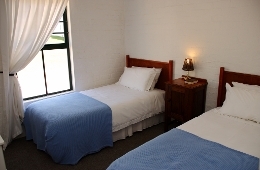 Description: Two single beds with en suite bathroom. 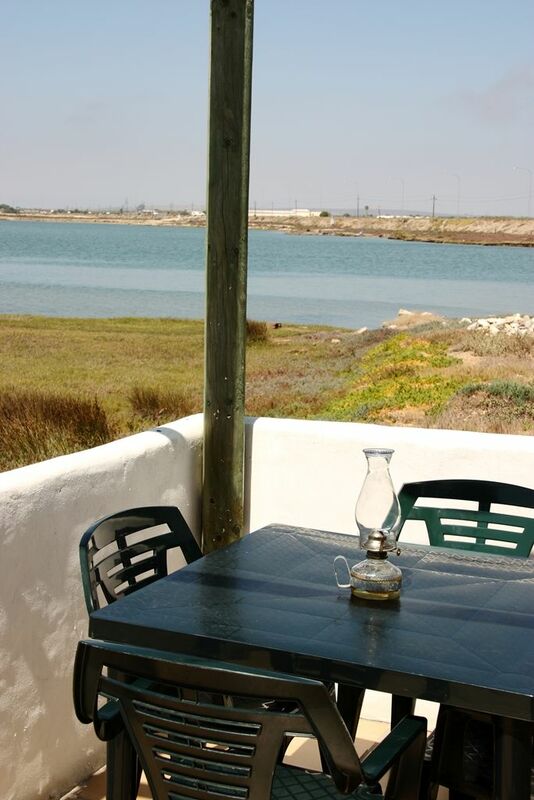 Patio with view of the Berg River. Selected DSTV channels, coffee facilities and bar fridge. "We stayed in Brander, a four-sleeper chalet. Everything is in good repair, the beds are comfortable, the sleeper couch is ok. The taps are a bit weird, you get splashed until you get used to them, and some are difficult to close properly. There is a shower and a nice bath. The view is fantastic but ..."
"We stayed in Brander, a four-sleeper chalet. Everything is in good repair, the beds are comfortable, the sleeper couch is ok. The taps are a bit weird, you get splashed until you get used to them, and some are difficult to close properly. There is a shower and a nice bath. The view is fantastic but you are very close to the road so you hear trucks and cars all the time. 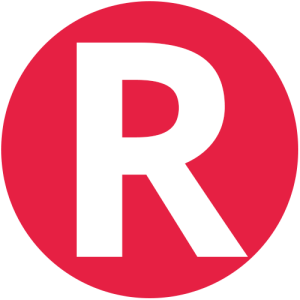 Overall a nice place." 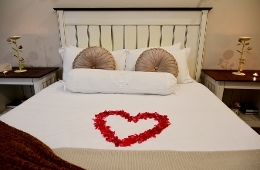 "Loved the chalet, loved the position, very convenient with shop across the road. " Take the West Coast Road (R27) from Cape Town. 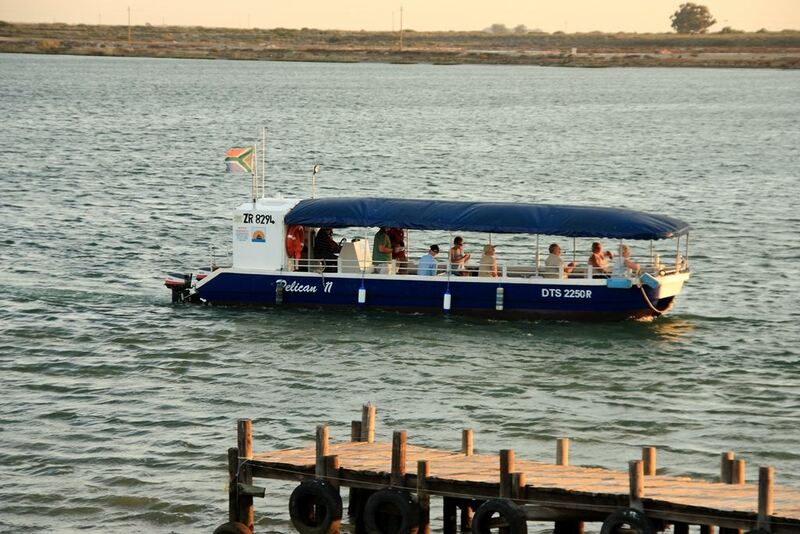 Drive for approximately 160km and enter Velddrif over the Carinus Bridge. 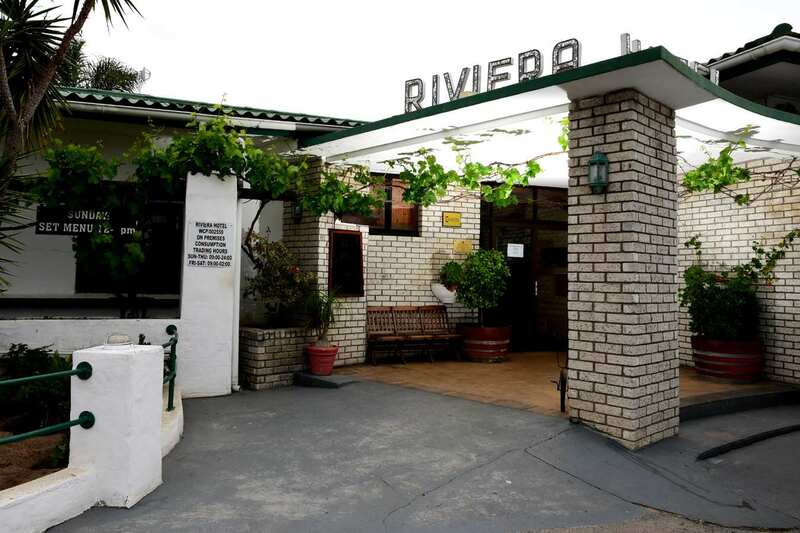 The Riviera Hotel & Chalets are on your right side on the banks of the Berg River. 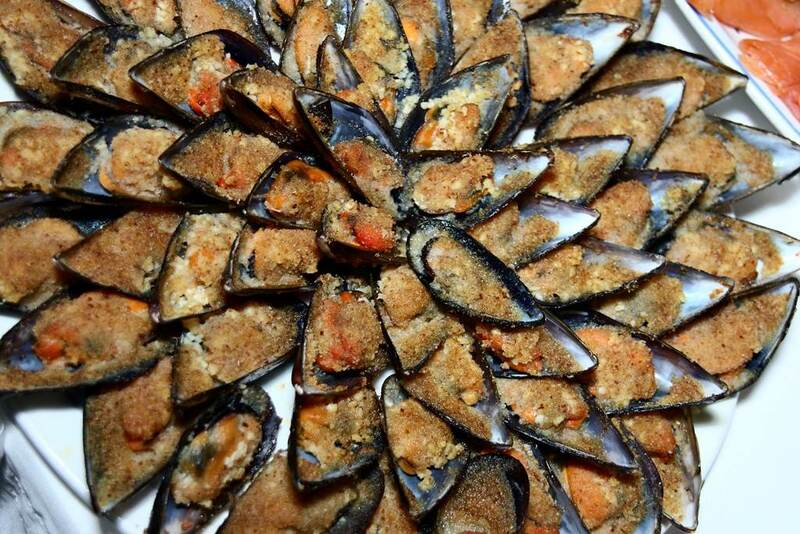 Contact Riviera Hotel & Chalets directly. Send them an email.